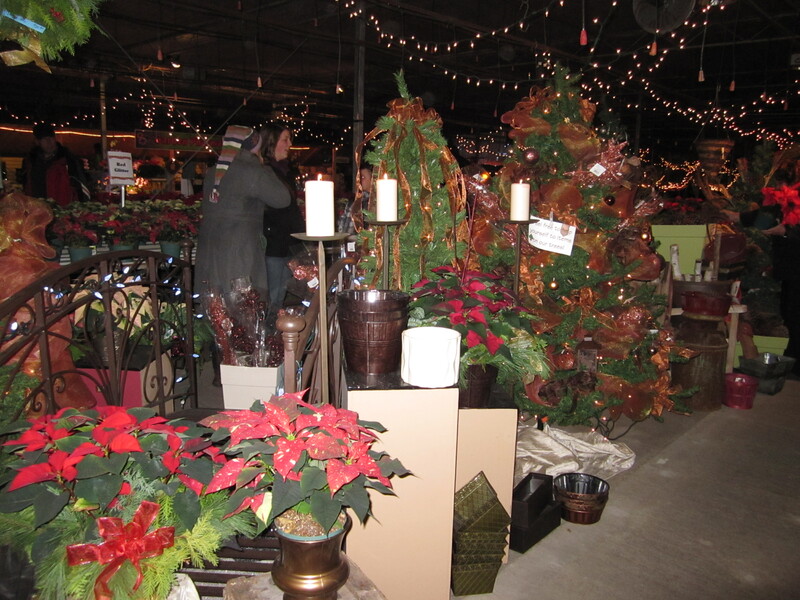 One of my favourite greenhouses in Huron County offers a unique way of purchasing a Christmas poinsettia—by shopping in candlelight! 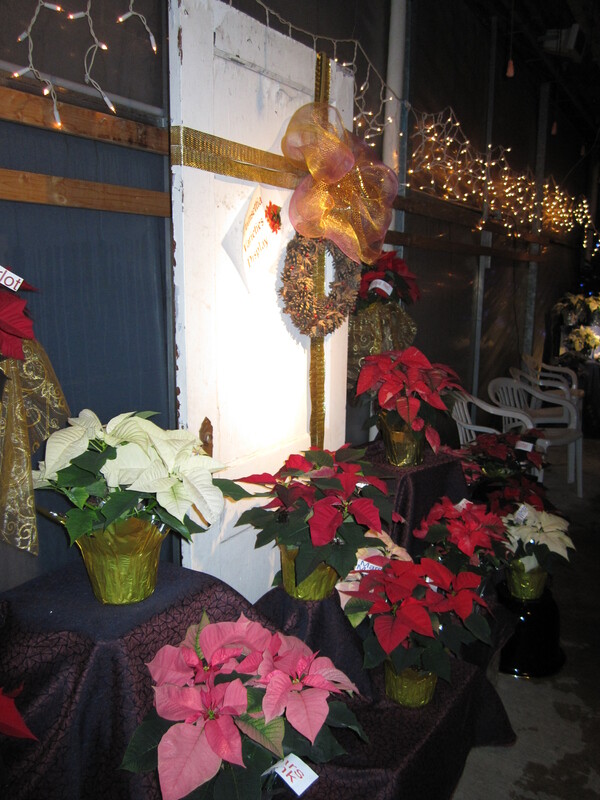 In addition to this past weekend, Huron Ridge Acres is offering a second weekend for their annual Poinsettia Festival and Candlelight Event. Starting again this Thursday to Saturday, you can see thousands of mini lights and candles illuminating many varieties and colours of poinsettias. While I had heard about this event before, this was my first time attending. I think this event is really neat, and I felt a sense of relaxation when I arrived and strolled through the aisles. It felt less like a shopping errand and more like a relaxing way to end a busy week. It also helped that there was gingersnap cookies, hot apple cider, and live music to enjoy! Here’s a short video showing the ambiance of the Poinsettia Festival and Candlelight Event. If you listen closely, you can hear the music in the background. I was amazed at all the poinsettia varieties and colours available. I fell in love with one unique variety called “Northern Lights”. It’s a white poinsettia with sparkly blue and pink – which looks just like the colours of the Northern Lights. A 6 inch pot was $8.99, and it has found a special spot by my fireplace. As a bonus, I learned that for certain varieties of poinsettia sold (including the variety I purchased), Huron Ridge will donate $1 to help those devastated by Typhoon Hayian in the Philippines. When you purchase a poinsettia, Huron Ridge will wrap your plants to protect it from the cold (poinsettias are tropical plants, and there is nothing tropical about our weather lately! ), and you can choose the colour of your pot wrap, and they will even add some sparkle spray to the leaves if you choose. In addition to the poinsettias, there are fresh cut trees, fresh evergreen planters, garland, evergreen bunches, wreaths and festive decorating accessories to purchase. There are lots of decorative displays set up in the middle and perimeter of the greenhouse, and a moving train set for the kids to watch too. When I arrived last Friday, there was a bus from a local nursing home unloading passengers, and when I left at 8pm there were still lots of people there. Many customers in the checkout line were commenting on how beautiful the greenhouse looked. The staff must have put a lot of time into making the greenhouse look so magical! The event will be held again November 28th to 30th from 9am to 8pm. I highly recommend going in the evening for an extra special experience. Christmas shopping tip: Huron Ridge Acres also has gift cards available to purchase in any denomination. A great gift for any gardener, and it helps support a local business.